Lightly grease a shallow baking tray with unsalted butter. In a large pot, melt the butter together with the measured amount of water. When the butter has melted, but before the mixture boils, add in five spice, followed by sugar and stir to dissolve and rid the mixture of any lumps or crystals. Then, bring to the boil while whisking continuously, reduce heat to a simmer and add in the condensed milk. The mixture will lighten significantly in colour when adding in the condensed milk. Continue whisking on a medium heat for 20 minutes until the mixture thickens and becomes a dark golden colour. 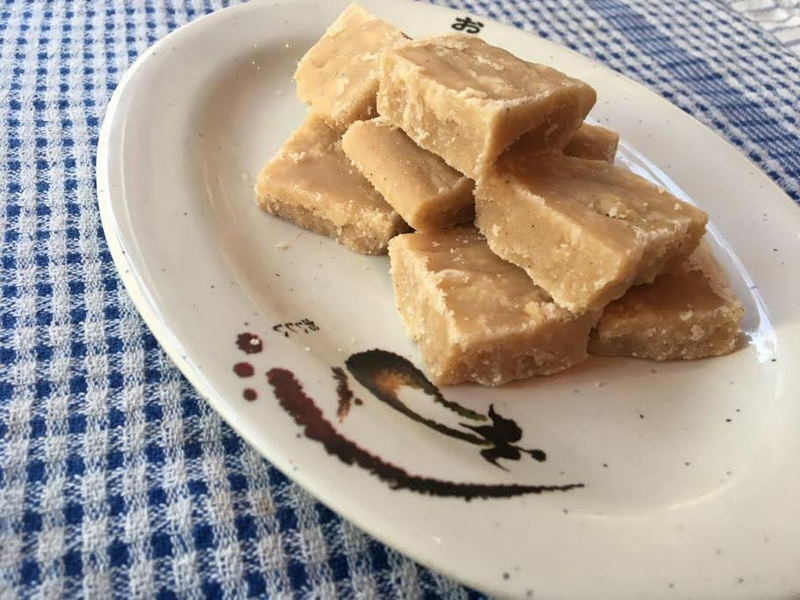 To test the tablet is ready to be set, drip some onto a cold plate (pop one in your freezer for a few minutes if you like). You’ll know it’s ready to set when the mix goes solid and still in no more than 30 seconds after being dripped onto the plate. Once this is achieved (and you have new arm muscles of steel after all that whisking!) quickly pour the mix into the tray greased baking tray. As it will start to set immediately, in order to get a smooth finish you’ll need to be quick and nimble. Pair it with a cup of coffee for a much needed late afternoon pick-me up.